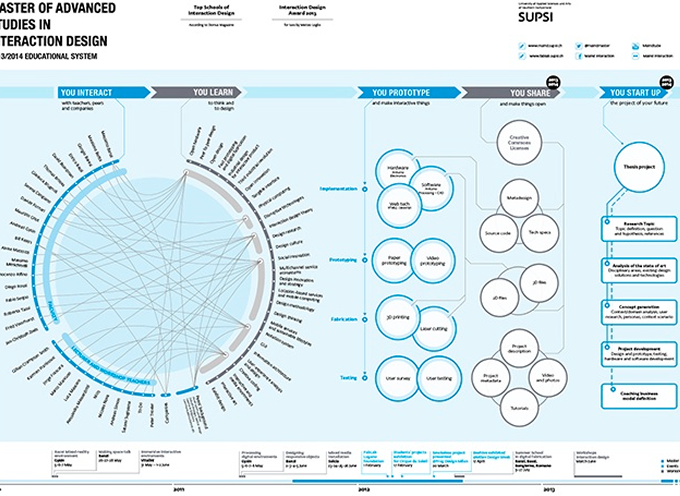 The Master of Advanced Studies in Interaction Design proposes different design and art modules and complementary topics. The program starts with a module composed by a series of workshops addressed to provide an overview on the theoretical, technical, methodological and practical skills of media art and interaction design discipline. Marco Mancuso was called by Massimo Botta to lead a class about the contemporary artistic application of digital technologies and scientific studies, at the Master of Advanced Studies in Interaction Design he leads at SUPSI in Lugano.